The Sackler contains some of the most important holdings of Asian art in the world. It has more flexibility than its neighbor, the Freer Gallery, whose mandate forbids the exhibition of anything from outside its collection. The Sackler, on the other hand, stages international loan exhibitions of Asian art (a recent show featured Ai Wei Wei). 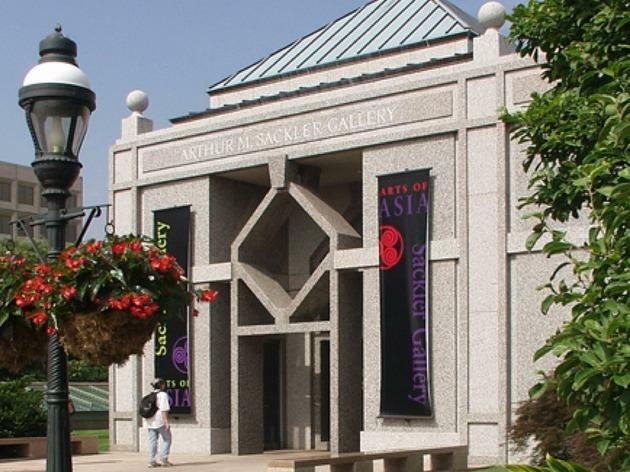 Connected to the Freer by an underground passageway, the Sackler was built up around a 1,000-piece Asian art gift from Dr Arthur M Sackler. 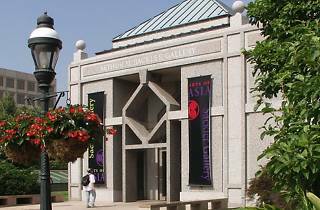 Visitors enter through architects Shepley Bulfinch Richardson and Abbott’s first-floor granite pavilion (a similar pavilion, by the same firm, is at the National Museum of African Art). You then head below ground into a maze of overlapping bridges and long passageways that give the feel of an ancient temple. Artifacts on permanent display include a large collection of pieces from China—among them ancient Chinese jades and bronzes, plus paintings, objects and calligraphy from later eras. There’s also sacred Buddhist and Hindu sculpture from South Asia and the Himalayas, dating from the 10th to the 18th century, along with contemporary Asian art ranging from Japanese ceramics to Monkeys Grasping for the Moon, a sculpture designed for the museum by Chinese artist Xu Bing and displayed in the museum’s atrium. In the galleries connecting the Freer and Sackler is a new installation of gold and silver Iranian pieces dating from the fourth to the seventh centuries. The Sackler and Freer galleries offer ImaginAsia, a family program with a special guided tour for children aged six to 14, who must be accompanied by an adult. They are given an activity book before entering the exhibition and the tour ends with the opportunity to create arts and crafts inspired by what they have seen. There is also a children’s activity on most weekends. Traditional Asian festivals are celebrated here, giving children the chance to participate.